Fish food has a very strong influence on the growth, health, and beauty of your fish. 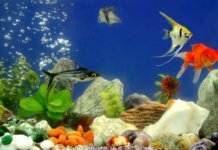 Still, many tropical fish owners underestimate the importance of choosing the proper fish food. The wrong choice won’t just affect your fish – it can also cause dirty water or even infect your fish tank. 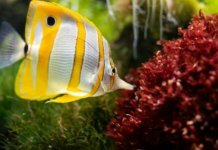 In this review, we’ve checked out some of the best tropical fish food brands on the market, and narrowed the choice down to our top 5. Contains quality ingredients like salmon and krill. 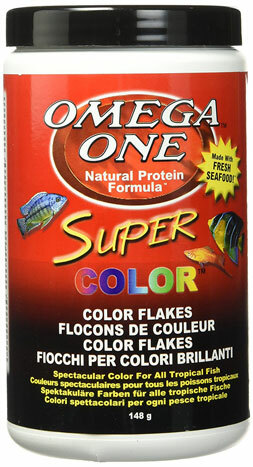 Helps enhance the colors and vitality of your fish. Contains quality ingredients like squid and krill. Rich in carotene and protein. 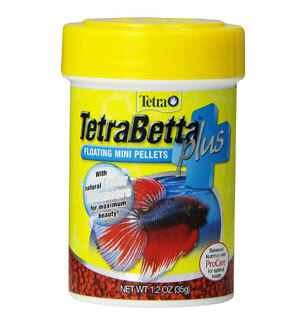 Small pellets are perfect for Betta fish. Although most fish will try to eat anything that fits in their mouth, different species require different types of fish food to thrive. If you own a typical community tank, standard tropical fish food should be enough. If you have a pond, Cichlids, or Betta fish, there’s plenty of specifically labeled food that may suit your fish best. 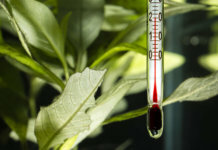 When buying Koi fish food, you should be aware of the climate and the temperature of your pond. Proteins are difficult to digest in low temperatures. As a result, fish food manufacturers make different Koi foods for summer and winter. 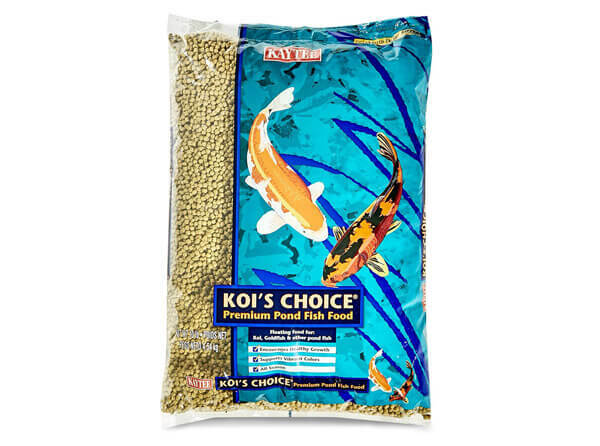 Koi thrive on a high-protein diet (~35%) in temperatures over 60° F, and low-protein diets in temperatures under 60° F.
Although Cichlids are omnivores, buying specifically designed Cichlid food is the best option. The usual tropical fish foods may not satisfy the nutritional needs of Cichlids. Additionally, it’s best to avoid floating fish foods, as your fish may gulp in air when trying to eat. This can lead to bloating. Because of this, slow-sinking pellets are the best choice for Cichlids. Betta fish are carnivorous, meaning that they require a protein-rich diet in order to thrive. Similarly to Cichlids, it’s best to stick to products labeled as Betta fish food. Typical fish flakes may not have the high amounts of protein that a Betta needs. To top it off, Bettas have very small mouths and may be unable to swallow larger fish pellets/flakes. Our choice for all tropical fish. Our personal favorite, and our go-to fish food for nearly any type of tropical fish. Not only were our fish thrilled to taste these flakes – just one look at the ingredients says enough about their quality. This tropical fish food has whole salmon, halibut and various seafood (including krill and shrimp) on its ingredient list – all top quality sources of protein. 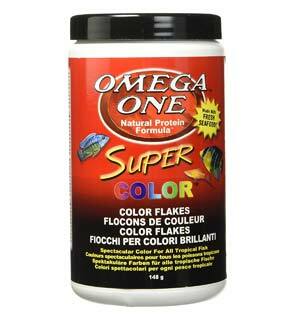 The Omega One Super Color Flakes are packed with natural color-enhancers – helping bring out the vibrancy and beauty of your fish. It doesn’t cloud the water either – a big plus. Our #2 choice for all tropical fish. One of the most popular (if not the most popular) brand of fish pellets on the market. Tetra is a giant producer of fish tank supplies; they’ve been around and improving since 1951. Today, they’re a fairly respectable brand and a safe choice if you need just about anything for your aquarium. This tropical fish food offers a good blend of nutrients, vitamins and minerals, and is easily digestible. It doesn’t cloud the water, and helps enhance the natural colors and vitality of your fish. It can usually be found in several sizes, ranging from a tiny 0.42-ounce package, up to several pound buckets. 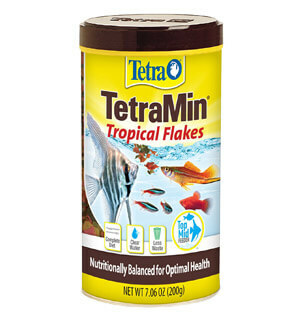 We’ve found Tetra’s fish flakes great for nearly any type of tropical fish (except algae eaters), although if you’re looking for something specific – like Goldfish food, or Cichlid food, the TetraFin or TetraCichlid may be better options. Our choice for African Cichlids. A good Cichlid food, especially if your Cichlids are picky eaters. 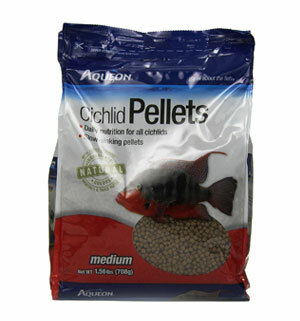 Aqueons Cichlid pellets contain quality, natural ingredients, like squid and krill, and have no artificial colors. These pellets are slow-sinking – we found that they’ll float for a brief amount of time, and slowly sink afterwards. The formula allows your fish to utilize more of what they eat, ensuring less waste, and in turn, less ammonia and better water conditions. 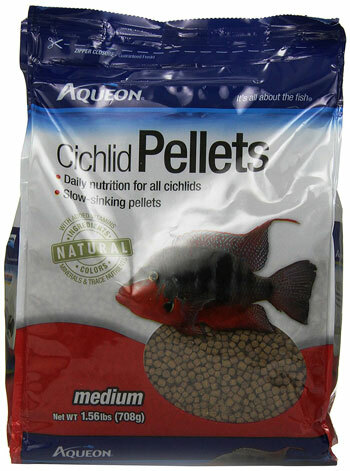 Like most other fish foods from this review, Aqueon’s Cichlid food pellets don’t cloud the water. 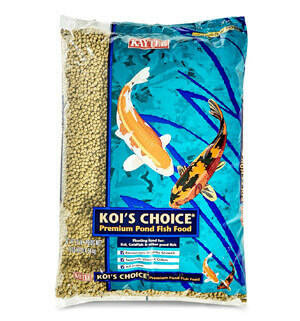 Our choice for Koi fish, Goldfish, and ponds. Although Koi fish and Goldfish are far from picky, finding the best type of food for them isn’t always easy. If you’re feeling overwhelmed with all the options out there, we warmly recommend Kaytee’s Koi food. It provides animal and vegetable nutrients that pond fish need to grow, stay healthy, and look vibrant and beautiful. Additionally, it’s easily digestible, ensuring less waste and better water clarity. It’s suitable for all seasons, which is a plus that sets it apart from most types of Koi food out there. You won’t need to purchase separate foods for winter and summer. Our choice for Betta fish. Although Betta fish are known for being hardy and non-demanding, we still love to treat our little pets with quality snacks. This fish food seems to have everything your Betta needs; it’s rich in carotene, protein, and Omega 3 fatty acids, all of which are beneficial for the health and growth of your fish. Additionally, these fish pellets include natural color enhancers, which help your fish look vibrant and beautiful. The pellets themselves are very small in size, which is perfect for a Betta. As most Betta fish are kept in small fish tanks and fish bowls, cloudy water is a very common issue. 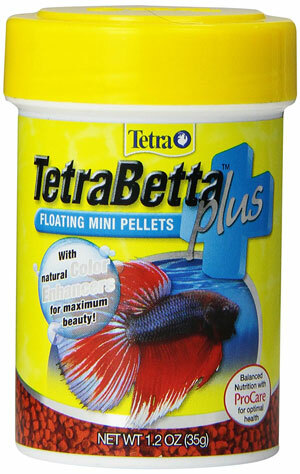 As long as the directions are followed, TetraBetta Plus pellets don’t seem to cause any cloudiness – a big plus.